The song we had chosen as the final piece was the new song by Jonas Myrin and Matt Redman (2011), 10,000 Reasons. For those of you unfamiliar with the piece, the song commences with the chorus and then leads into verse one. I had decided that I would attempt to dovetail a solo presentation of the opening chorus neatly against the end of Ps Phil’s closing prayer. An excellent idea…until I missed the entrance note by approximately a 4th. “No problem” I thought…it kind of worked in a kooky indie kind of way…”I’ll just make a quick adjustment when I invite the congregation to join me for verse one…how hard can it be for a doctor of musical arts?” Ha! Very hard it seems…I couldn’t find the right key/note to save myself. Fortunately, after what felt like an eternity of ‘awkward’ I had a friend in the pews that came to my rescue by belting out the right notes so that the congregation could commence singing. Actually, in the end, what took place was beautiful. In the midst of my broken attempts to find the right notes the congregation’s voice rose above mine to the point that they were leading me. It was so good that every time we sang a verse (there are three) I handed the leadership of the melody over to the 100 strong voices of the congregation. I would go as far as to say that the service may not have been as rich an experience had I got the entrance into the final song right. Paul, in writing to the Corinthians, reminds us that “we have this treasure in jars of clay, to show that the surpassing power belongs to God and not to us” (2 Cor 4:7). A common vessel for grains, water and oils in New Testament times, the household ‘jar of clay’ was given to breaking and spilling its contents. Even the well-crafted glazed pot or jar was vulnerable to mishap and structural failure. While reminding us that we are made of fallible materials Paul celebrates our earthiness; our imperfection and vulnerability. Paul reminds us to revel in the way God is glorified and revealed in our weakness. Admittedly, I am not going to go searching for opportunities to fail in my responsibilities of leading the congregation in worship. I am however excited to know that God is more than capable of using our wrong notes stored in clay jars. Daniel is a freelance artist and educator. In 2011 Daniel completed his Doctor of Musical Arts degree at the Queensland Conservatorium Griffith University. He has served as National Vice President (2009–11) and National Secretary for the Australian National Association of Teachers of Singing (2006–11) and was awarded the ANATS National Certificate of Recognition for service to the profession in 2012. 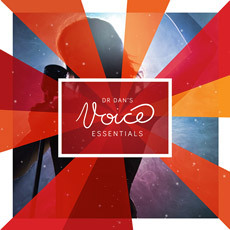 Daniel is the principal Singing Voice Specialist for Djarts (www.djarts.com.au) and presents workshops and seminars to church singers across Australia and abroad. He and his wife Jodie have three children and live in Brisbane, Queensland Australia. Posted on January 30, 2012, in Contemporary Worship Singer, Religion, Singing, Songs, Uncategorized, Worship and tagged Corporate Worship, Jars of Clay, Singing, Worship Leading. Bookmark the permalink. 4 Comments. glad you wrote about this Dan – humble – and it was actually great to be a part of it! What a beautiful picture of the body of Christ. Thank you. Hi Dan … so encouraging to hear that even a professional like yourself can make a blooper. Thank you for being willing to make yourself vulnerable .. it helps us all along the journey and gives us permission to accept the fact that we are simply human – frail at times, but ultimately victorious because of our loving God.